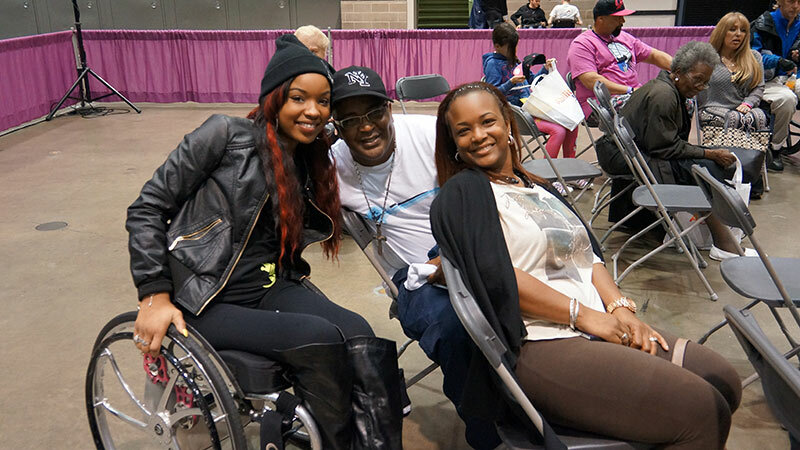 Chicago, IL – In an effort to foster greater community engagement among attendees, Abilities Expo will introduce the Abilities Meet Up Zone at the Chicago Abilities Expo (#AbilitiesExpo) on June 24-26, 2016 at the Renaissance Schaumburg Convention Center. In the tradition of a town square, the Abilities Meet Up Zone will be a dedicated area on the show floor where attendees can engage with their peers, experience the Expo more fully, and enjoy a deeper connection as they learn from and share with exhibitors and other experts in the vibrant disability community. The Abilities Meet Up Zone morphs reality into the realm of social media, as the community can engage on Facebook, Twitter, Instagram, Google+, Pinterest and Youtube before, during and succeeding the Chicago Abilities Expo. At the Expo they will be treated to an impressive line-up of exhibits, workshops, events, and activities to appeal to people of all ages with the full spectrum of disabilities…and they will also have a place to relax with refreshments and a golden opportunity to connect with others who face similar challenges. Whether they are people who have just had an accident or are the parents of a child with CP, they can discuss personal issues with people who have experience with similar challenges and organically share their experiences online with their individual social networks. Once onsite, the Abilities Meet Up Zone can translate those online relationships into tangible networking opportunities, face-to-face reunions and new resources for information and advice. For instance, a photo booth area will allow people to capture the joy of the moment and share it liberally with friends, tagging #AbilitiesExpo and increasing the Expo’s reach into the disability community. For more information on the Chicago Abilities Expo and its many exhibits, events and workshops, visit www.abilitiesexpo.com/chicago. Wheel:Life is a global social community and digital publication that assists people in addressing the many questions and challenges that come with using a wheelchair. Wheel:Life resources help people with disabilities in locating quality health and medical resources, educational and employment avenues; local and virtual peer support groups; and accessible travel destinations. Based in Coral Springs, FL, Wheel:Life is a wholly-owned subsidiary of Comfort Medical, LLC, the leading national mail-order provider of urological and ostomy supplies. Join more than 27,000 friends who use wheelchairs at www.wheel-life.org or www.facebook.com/wheellifeonline.